EH: And then, there was the Greek military coup that showed us the power of free expression and the power of art. The military went after the artists first. GR-M: Artists can effect such change. Artists’ ideas threaten on a big level. They needed to curtail that freedom of speech. Nikos Kazantzakis, who wrote “Zorba the Greek” was banned, and the composer, Mikis Theodorakis, had to flee. The new government found out that we were producing “The Lover”, by Harold Pinter, and tried to suppress it. To them, Harold Pinter was political. The creepy thing is that they found out we were doing it. They were watching us. EH: They even banned the Classical playwright, Euripides, and not Sophocles. GR-M: Greece is an old culture; they’re very connected to their history. Euripides challenged societal authority; Sophocles didn’t. Euripides was dangerous. EH: Before our time in Greece, I really never knew how to spontaneously go out and dance and just have a good time. There were those wonderful traveling theater troupes that traveled from town to town throughout the country; it was such an appealing lifestyle. GR-M: In Greece I could accepted my boldness. Here, women are supposed to be quiet, demure, held-in. We live in a watered-down culture. Greek theater waved the magic wand, to say “Yes, this kind of boldness does exist; you’re not just some kind of anomaly.” When I got back from Greece, I was completely altered. It was an emotional quantum leap, an emotional sanction. It certainly helped me as an actor, to pick bold parts, and just go for it, and break boundaries. It’s part of human nature, the limbic part of the brain that we push down: rage, anger, and revenge. The Greeks really tap into that. And there is a lot of laughter. I’ve played Medea and Lysistrata, these characters are bold, outrageous. If you have the good luck to get to play some of these women and let go, it’s very soul expanding; it has a fearless quality. You step into fearlessness. 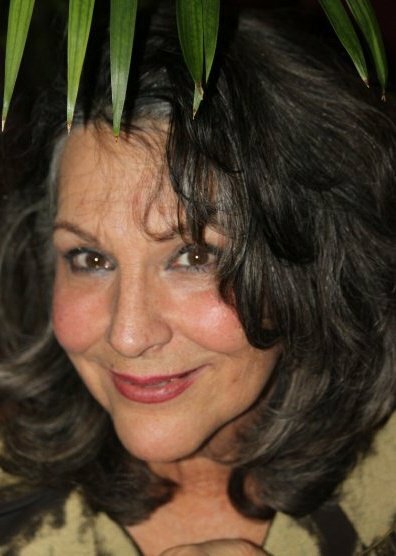 Gloria Rossi Menedez will be reading again in “Hidden Agendas”, the next group plays by the OSW Playwrights Unit, to be directed by Peter Alzado and presented at the Unitarian Center, Fourth and C streets, Ashland, Monday, June 28 and Tuesday, June 29 at 7:30 p.m. The cost is $10.